Discover what qualities make a good leader and a good seaman. Secretary of Defense James Mattis was on a plane last year, wrestling with how he would explain President Trump’s “America First” policy to our allies, when an idea came to him. He would draw a parallel to flight attendants requesting passengers put their own oxygen mask on first in the event of an emergency, before assisting family members. Say what you will about our national leadership, this is a wonderful metaphor. America can only contribute to the common interests of our Allies when we first secure our own national interests, across the entire political spectrum. Taking care of our own interests first allows America to be what our allies need – a strong, legitimate partner in promoting freedom and democracy. Sliding all the way down the U.S. military chain of command, the youngest Seaman Recruit swabbing the deck on a Navy warship receives a very different message. He or she is taught a traditional saying that sailors use to succinctly describe their priorities: “ship, shipmate, self.” Like most nautical jargon, the aphorism has a certain graceful ring to it that captures the Navy’s mission-first mentality in very few words. It evokes dramatic notions of sailors agonizingly shutting a hatch on shipmates to save the ship from flooding, or sacrificing their own safety to save a shipmate from an engine room fire. Unfortunately, like most dramatic notions, these are largely fictional. In the real world, the U.S. Navy does not jump from one dramatic moment to the next. It operates a global force of six fleets, 284 ships, over 3700 aircraft, and 324,000 sailors, and it does so 24/7/365. Instead of maximizing mission effectiveness, using “ship, shipmate, self” as a set of priorities creates unrealistic expectations and tension in the minds of U.S. Navy sailors. In truth, neither “America first” nor “ship, shipmate, self” are perfect models for sailors. There are times when sailors truly should sacrifice their own interests and the interests of their shipmates for the sake of the ship, but more often than not, the energy they pour into the ship is in line with their own interests, not contrary to them. There are also many times when sailors need to prioritize their shipmates over the ship – just consider the massive amount of operational resources and time dedicated to recovering a single man overboard. Furthermore, and perhaps controversially, sailors often encounter situations in which they should prioritize themselves over their shipmates and their ship, although these situations often go unnoticed due to Navy culture epitomized by “ship, shipmate, self.” Over the past ten years, an average of 44 active duty sailors died by suicide each year. Imagine how many sailors could be saved by focusing on “preventive self-care” vice reactive clinical treatment. Many will probably view this “selfish” approach as subversive and contrary to what the Navy stands for, but radical ideas are often viewed this way at first. In fact, it is a dynamic approach to leadership that encourages emotional intelligence, in leaders and followers alike, to optimize mission effectiveness. To truly achieve sailor wellness and promote an effective mission-first culture, the Navy should use “ship, shipmate, self” not as a set of priorities, but rather as a triad with each element being critical to the mission. Understandably, the ship is traditionally the focal point of naval operations. For centuries, ships were the only means that the world’s navies had at their disposal to project power on their enemies. Today, even with the advent of naval aircraft, missiles, and other deployable systems, ships (and submarines) remain the quintessential element of maritime presence and power projection. There is no metric for naval strength quite as easily understandable as the number of ships a navy operates and maintains. Much naval strategic planning happening right now in the Pentagon and D.C. think tanks revolves around President Trump’s stated policy of achieving a 355 ship Navy. So, it makes sense that tradition would coalesce around a maxim that prioritizes the ship over all else. After all, sailors literally rely on the ship for their survival, and to return them to their loved ones after deployment. Yet, for all its traditional primacy in Naval operations, the ship is no more important than the people who operate her. Just as sailors rely on their ship, the ship relies on her crew. It has long been said in naval circles that a new ship is “brought to life” when the commissioning crew runs aboard. 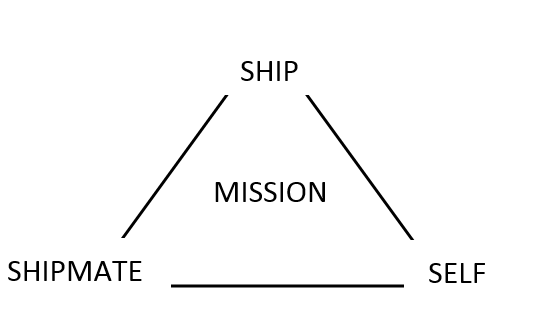 What’s needed now is a shift in mindset away from the idea that the ship is something separate that sailors need to prioritize over themselves, toward the idea that sailors and ships are interconnected parts of a larger system that drives toward mission accomplishment, neither being more important than the other. Viewing the ship as a separate and distinct “other” for which one must continually sacrifice their own interests naturally breeds tension and eventually resentment, especially when sailors hear lip service about their wellness being the Navy’s top priority. In truth, the Navy’s top priority is, and always will be, to win our nation’s wars at sea. People, platforms, and payloads are all equally important to that mission. The message to sailors needs to be “take care of the ship, take care of your shipmates, take care of yourself, you are all critical to the mission.” When sailors view themselves as a critical element of a system of mission accomplishment, they begin to find purpose – a reason for the incredible sacrifice all sailors must make. Military leaders have long recognized a sense of purpose as being one of the most powerful motivators for transforming individuals into effective warfighting teams. The nature of this generation of young sailors is another reason compelling reason to reshape the way the Navy characterizes its priorities. Millennials, as children of the “Peace Dividend” of the 1990s that followed the end of the Cold War, watched their parents pursue individualistic dreams and often expect the opportunity to do the same. Many Millennials were not raised in a time period that was as focused on the same selfless sense of service that some previous generations took for granted. Patriotism just looks different today. However, every American generation has been convinced the following generation was deficient in some way. Even the parents of Tom Brokaw’s “Greatest Generation” probably lamented in 1920 that America’s youth were not ready for the challenges of the “real world.” The prevailing view of Millennials is nothing new, and it’s also not helpful. The fact is, the Navy’s workforce is composed mainly of Millennials, and the challenge of leading them rests with senior leaders, to put it plainly. 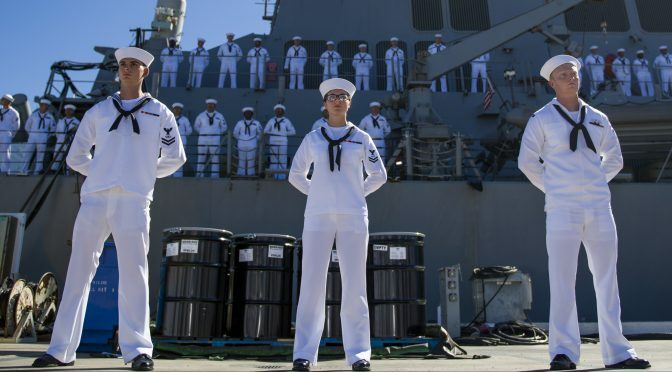 In this author’s experience, what is often misinterpreted as a “what’s in it for me?” attitude, is in fact a Millennial trying to determine “how do I fit in?” Sailors today seek to thrive personally even as they serve the nation. In the past, it would have been obvious to say that sailors will put the needs of their shipmates ahead of their own. They are military servicemembers after all, and most of them joined the Navy motivated by some level of selflessness. There are countless times throughout a sailor’s career when they will rightly sacrifice their own interests for the sake of a shipmate, but as a hard and fast rule, it is not necessarily beneficial to the mission for sailors to constantly put themselves last. Sailors sometimes need to prioritize their own health and readiness to ensure they are capable of contributing to the mission. Sleep, for example, is a hot button issue in the Navy right now. 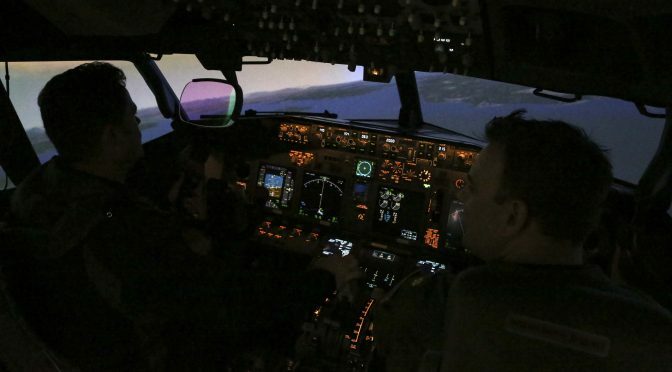 Some claim that systemic lack of sleep in the fleet is causing sailors and officers to perform sub-optimally on watch, potentially contributing to two tragic collisions in 2017. To be sure, the Navy needs to examine its own processes to ensure it is affording sailors the requisite time to rest so that they can do their jobs. Still, some responsibility falls on individual sailors to ensure they are getting enough sleep. This is not strictly self-interest. Sailors are one part of a system geared toward mission accomplishment. 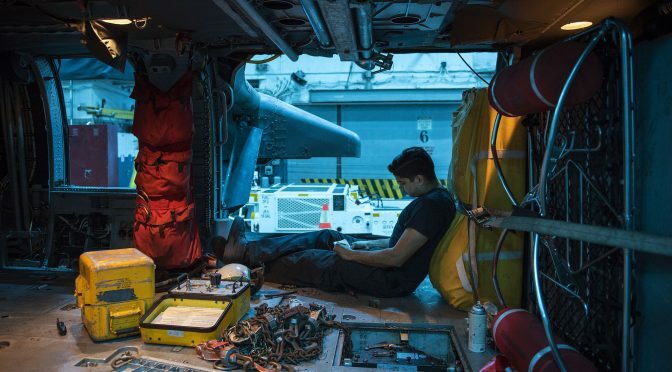 So, by declining to help out a shipmate on a late night task so they can get enough shut-eye before watch, a sailor is not only taking care of themself, but also supporting their ship’s mission. A four-star admiral once said “Tired staffs are okay, tired commanders are not.” This was not permission for commanders to work their staffs into the ground, rather it was meant to illustrate that staffs have built-in resilience due to depth, whereas commanders represent single points of mission failure. The admiral was directing his commanders to ensure they prioritized their personal health and readiness, because a commander who cannot make sound decisions due to exhaustion could actually endanger the mission, vice support it. Today, Millennials are often motivated by more individualistic goals. That does not mean, however, that they are not willing to prioritize their shipmates over themselves, and even their ship. Consider a “man overboard” scenario. When a sailor falls into the water, every sailor stops what they are doing and supports the recovery in some way, even if it is just to muster for accountability to help identify the sailor in the water. Prioritizing the sailor above all else is not just contained to a single ship. Every ship and aircraft that can be contacted proceeds to the scene at top speed. Small boats are deployed in questionable sea states. Helicopters might be launched with winds just outside acceptable limits. Short of actual combat or avoiding collision, nothing is more important than recovering an overboard sailor. Every day, sailors put their piled-up workloads aside to give their junior shipmates on- the-job training. Entire career paths, such as Culinary Specialists and Yeomen, are dedicated to the service of other sailors. In fact, every sailor puts in work to serve their shipmates, their ship, and, ultimately, the mission. The key for leaders is to enable sailors to see how they contribute to the mission. Taking care of yourself is not necessarily selfish. Usually, it is the mindset of “ship, shipmate, self” that leads sailors to perceive those who prioritize their own wellness as “selfish.” On the contrary, when sailors understand how they contribute to the mission, they can maximize mission effectiveness by ensuring they are prepared mentally, physically, and emotionally to give 100 percent focus and effort toward their duties. It is important, of course, for sailors to understand how they fit in to the overall Navy system, and to not take “self-care” too far. Inevitably, there will be times when sailors will only be looking out for themselves, regardless of how their actions affect their shipmates, their ship, or the mission. Clearly, in a “ship, shipmate, self” culture, these sailors are highly frowned upon and quickly corrected. If they cannot be corrected, they are typically shunned. The problem with this dynamic is the Navy ends up with sailors who are not contributing to the mission. Worse, in almost all cases, selfishness is not an immutable aspect of a sailor’s character, but rather temporary behavior that can be discouraged through sustained command-wide effort. So, the key is understanding one’s role on the ship and in the mission. As one Commanding Officer once put it, “Everyone can contribute. It’s up to the leader to help them figure out how.” Sometimes that might involve creative solutions such as reassigning sailors to other divisions or so-called “Tiger Teams” – small groups dedicated to specific short-term tasks. Sometimes, the answer is as simple as effective command indoctrination, mentorship, and training. Once a sailor truly understands that they are part of a team and how they contribute to the mission, performance will inevitably improve, usually significantly. This growth process requires leaders to exhibit emotional intelligence – the ability to manage emotions in oneself and in others to guide behavior and achieve one’s goals. To help a person who doesn’t want to help themself is often emotionally taxing, and it can be tempting to dismiss that person, but this does nothing to advance the mission. When the leader views their relationship to an unmotivated sailor not in an adversarial way, but rather in terms of an interconnected system, that leader can begin to see even small ways the sailor might contribute, which is critical because that enables the sailor to then grow their own emotional intelligence. The key insight is that the sailor’s health and readiness are critical elements in an overall readiness system, not afterthoughts to be prioritized behind the ship and shipmates. Importantly, transitioning from the idea of “ship, shipmate, self” being a set of priorities to a description of an interconnected system not only improves individual sailor wellness, but overall mission effectiveness as well. As much as Navy leadership discusses the importance of sailors and ships, nothing ever comes before the Navy’s mission to “maintain, train and equip combat-ready Naval forces capable of winning wars, deterring aggression and maintaining freedom of the seas.” Fundamentally, accomplishment of the Navy’s mission comes down to individual sailors working as teams to operate the finest ships, submarines, aircraft, and supporting systems in the world. To truly contribute to this mission accomplishment, every level of leadership, from work center supervisors to fleet commanders and beyond, should seek to understand how their organization fits into the overall Navy system. When the Auxiliaries Officer sees how auxiliary services support the ship’s mission, and a Strike Group Commander understands how naval air power supports their fleet, they can empower the most junior sailor with a motivating sense of purpose. Every sailor should understand more broadly how the Navy contributes to national defense. When a sailor examines how they fits into the overall Navy system, it can be extremely fulfilling to realize that their nation depends on him to keep enemies far from its shores. 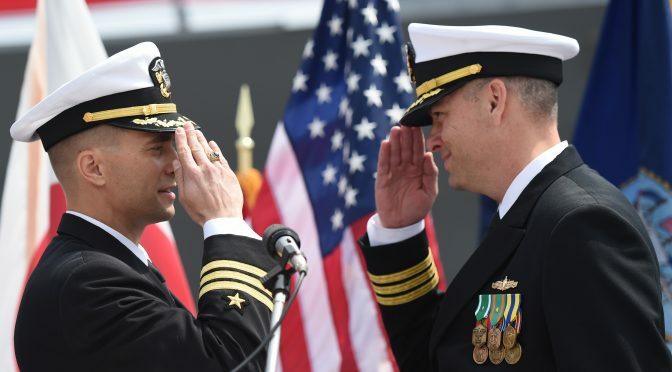 If Navy leadership wants to move toward a more effective warfighting force, a good first step is the recognition that ship, shipmate, and self are all equally important, interrelated elements dedicated to mission accomplishment. The Strategic Readiness Review: Opportunities for Future Success? The following was submitted in response to CIMSEC’s Call for Articles on restoring warfighting readiness. The Strategic Readiness Review provides a good start for institutional reflection and debate as the U.S. Navy moves forward in addressing warfighting readiness. However, trying to address the complex “system of systems” contributing to readiness in 80 pages is a daunting task. Further examination is required to ensure the institution is doing more than identifying symptoms and contributing factors to a complex situation. Candid discussion and debate is needed in an effort to identify root causes and systemic issues to ensure the Navy learns from this introspective study. The last paragraph of the Executive Summary to this report claims “leadership is the most important element to this journey” to restore readiness. Although not specifically calling out Navy senior leadership as an underlying cause, the issue of “institutional accountability” alludes to the royal “we” of how senior leaders could have (and should have) done better. The 2012 message by ADM John Harvey to the Surface Community just prior to his retirement should have been a red flare, invoking the royal “we” nearly 80 times in his candid reflection. He warned the community was straying from standards in excellence and opined they had lost focus on effectiveness over emphasis on efficiency. A thorough debate of the SRR’s findings is warranted, asking the “why?” question several times to get to the root causes. As an example, the Executive Summary states “Many of these deficiencies have been observed and authoritatively documented for years, however the naval capacity that had been built up for the Cold War masked their impact” (p. 1). Why were these deficiencies masked if they were observed and documented? Why was no action taken on these? Several times the report references the culture of the Navy, both where it had strayed and recommending where it needed to go. This begins to get to the real underlying causes of how good intentions and senior decisions over time were in adequate in shaping the complex system of systems of warfighting readiness. As the Navy Leader Development Framework states, leadership involves competency and character. Clearly there were competency issues involved in understanding this system of systems concept toward readiness. But the issue of character is equally important where leaders must have the character to stand up and be heard, even when the news may not be good. Being able to “lead up” (whether through the operational or administrative chain of command) is required. Also being able to effectively “lead out” is required for senior leaders, such as educating and conveying to Congress the convincing argument in an environment of competing resources (including money AND time). The Navy’s leaders and their staffs must develop the cognitive capacity to handle these complex problems with the appropriate strength in character to ensure success in warfighting. In reading this report, one might conclude a hint of victimization by the Navy where the Goldwater-Nichols Act (GNA) and Defense Officer Personnel Management Act (DOPMA) hindered the Navy’s ability to execute its responsibilities of train, maintain, and equip naval forces. This points to the challenge where the Navy failed to thoroughly grasp the context of this legislation. The Navy’s culture to react (vice being proactive), combined with a degree of over self-confidence in excellence took the Navy down a path it might have otherwise embarked. Although a review of these dated requirements might be warranted, so should an effort of working within these guidelines be considered. Coming from the Cold War Era, where the Navy enjoyed a great deal of independence with its “Blue Water Navy” focus to offset the Soviet threat, the Navy resisted the move toward “jointness.” It relied heavily on joint waivers for Flag Officer promotions as required by DOPMA and failed to comprehend the implications of GNA upon the Navy’s organization. OPNAV’s Strategic Plans (N5) continued to focus on strategic operational planning to support force structure positions but strategic proactive thinking was lacking at Navy headquarters. It wasn’t until the Maritime Operations Center with Maritime Headquarters (MOC/MHQ) Concept came out in 2005 where the Navy finally recognized its Fleet Commanders were the operational-level naval commanders for the Combatant Commands (vice the CNO). Even today, OPNAV N5 attempts to do theater engagement priorities for countries which sometimes runs counter to the Combatant Commander’s priorities (and responsibilities). Being from a previous Fleet Commander staff, there were numerous times where the priorities of OPNAV didn’t align with the Fleet Commanders. Hence, it’s at the Fleet Commanders where the ADCON and OPCON came together and the creative tension was fostered. Every Deployment Order required two separate routing chains. One up through the associated Combatant Commander while also chopping a separate package up through Navy channels to OPNAV. It was at the Joint Staff where the two chops would converge for review and recommendations to the Secretary of Defense. Navy’s lack of understanding of the joint processes resulted in its being handicapped in this effort as it resisted the effort to make officers joint. Just like it ignored the manning requirements of Fleet Headquarters Staffs (through community management to focus on the “higher priorities” of individual communities), lacking adequate Navy representation on Joint staffs was minimizing the Navy’s perspective. In September 2005, the National Strategy for Maritime Security (NSMS) was issued. This was a missed opportunity for the Navy to think proactively on its implications. With the typical reactive mode of solving problems, the Navy viewed this as tasking for supporting plans with stove-piped efforts of the Maritime Operational Threat Response (MOTR) Plan of October 2005 (FUOU) and the National Plan to Achieve Maritime Domain Awareness (which was updated in 2013). Much time and effort was devoted to effectively implement these supporting plans for the Navy without the benefit of deeper assessment. Being the first time of having a national strategy for maritime security, the Navy missed an opportunity to fully explore the implications of this new document and associated implications. Having long suffered the issue of maritime force apportionment across geographic boundaries based upon littorally-focused boundaries (i.e. the Unified Command Plan), maritime boundaries in the middle of oceans have created frictions and tensions for decades. These issues are highlighted with the supply/demand issue in the SRR. However, with the NSMS, the nation was recognizing maritime security from a global threat perspective. Reflecting on how the Department of Defense has evolved with GNA when faced with global threats (i.e. transcends sovereign boundaries), single organizations were assigned responsibilities and authorities for these threats. In the case of nuclear deterrence, U.S. Strategic Command was created. Additionally, it took on cyberspace responsibilities with U.S. Cyber Command assigned as a Subordinate Unified Combatant Command (and now with plans to transform into a separate Unified Combatant Command). When the Global War on Terrorism (GWOT) resulted following 9/11, specific responsibilities for terrorism were assigned to U.S. Special Operations Command as a Unified Combatant Command. The mere fact U.S Transportation Command as a Unified Combatant Command with global transportation responsibilities exists would support consideration of a Unified Combatant Command responsible for maritime security across the globe. This responsibility could be assigned to the U.S. Navy, putting the big “O” back into the Chief of Naval Operations duties. Much of the command and control already exists with the various fleet headquarters and the Maritime Operations Centers. This would then relieve the dual chain of command issue (OPCON/ADCON) that pulls at the Fleet and possibly better align the Service responsibilities of Title X with its operational responsibilities, including a more centralized line of accountability. Demands exceeding supply is nothing new. Managing costs is central to any organization whether it be government or business. It is true the current federal budgetary process does hinder the ability to conduct long-term planning and execution (especially with the consequences of the Budget Control Act). However, building the compelling and convincing argument for required resources from Congress has been a challenge. Mired by a degree of mistrust with stories of the $10,000 toilet seat, cost over-runs, and inability to clearly account for expenditures, the Federal Managers Financial Integrity Act (1982) mandated that agencies implement internal controls and systems to assure fiscal accountability in effective and efficient operations. The U.S. Government Accountability Office (GAO) report of 1984 highlighted concerns with the Department of Defense’s response in grouping all the Services together. Congress continued to push hard on accountability concerns with the Chief Financial Officers Act of 1990 identifying significant losses with fraud, waste, abuse, and mismanagement, requiring increased attention to fiscal accountability. The Department of Defense was singled out in the National Defense Appropriations Act of 2010 which required DoD to improve its financial accountability with the requirement to have validated financial statements no later than 30 September, 2017. As a result of the 2010 NDAA, the Navy spent considerable time and effort the last six years in improving financial accountability. The SRR highlighted concerns voiced in the above legislation when discussing “Surface Steaming Days” (p. 59) as being an inaccurate accounting for readiness costs. Additionally the SRR calls out “the inaccuracy of the models” (p. 60) to predict maintenance requirements (relating directly to costs). The inability to accurately account for costs has hindered the ability to develop valid models to inform planning and senior level decision making. Critical thinking has been lacking to address the implications of the changes the Navy has experienced. Even the “four or five ships at home to provide one forward” rule of thumb expressed in the SRR (p. 20) has not been adjusted for the reality of delayed maintenance periods, when it may be more on the order of 6:1 required. Clearly, the ability to accurately tell the Navy story has hindered obtaining the needed resources. However, in taking advantage of the effort to increase fiscal fidelity and accuracy mandated by law, the use of big data, and technology, there should be opportunity to revisit modeling and planning efforts within the Navy. An initiative to capture big data relating to actual operating costs should be a priority with today’s technology to see what insights it would reveal. Clearly, better models for informed decision making are warranted by the SRR’s findings and recommendations. “Big data” analytics is a growing field in the business world and the Navy should revisit its business practices accordingly. In addressing the implications of the Defense Officer Personnel Management Act (DOPMA), the SRR implied a degree of victimization of the naval officer due to the unique demands of the Navy and its mission. The SRR hints at a “relaxation of Goldwater-Nichols Act provisions, combined with a reduction in joint headquarters billets” (p. 39) as a possible solution. The SRR does a good job of highlighting the increasing demands on our personnel (especially the officers with increased scope and depth of responsibilities) and limitations in properly preparing them. The concern for “mastery” is a recurring theme in the Manning and Training section of the SRR. Looking forward, the future continues to grow in scope and breadth of VUCA (vulnerability, uncertainty, complexity, and ambiguity). The effort to develop the well-rounded “jack of all” (and master of none) naval officer applies. Pulling back on graduate education (as hinted in the SRR) is not the solution. From Churchill’s remarks, “now that we have run out of money we have to think”, cutting back on education would be a short-sighted perspective that has long term implications of secondary effects. Developing critical thinking abilities in senior leaders is essential for future success. The ability to understand the complexity of the systems of systems, ask the hard questions, see multiple perspectives, and have the cognitive capacity to be proactive is a war-fighting imperative. One possible solution to this was proposed by ADM (ret.) James Stavridis and CAPT (ret.) Mark Hagerott in a joint article they wrote in 2009, “The Heart of an Officer: Joint, Interagency, and International Operations and Navy Career Development.” Perhaps an idea before its time, they recognized the increasing complexity of the world and the resulting increasing demands to best prepare Naval Officers for the future. They addressed many of the concerns highlighted by the SRR. However, they proposed the idea of developing separate career paths for officers based upon their assessment of environment and future trends. Their proposal builds a strong case to allow specialization of the officer corps (Unrestricted Line) along three career paths: Joint/Interagency Operations, Technical, and General Operations. Perhaps revisiting their proposal is well warranted as the time has come out the urgency produced by the SRR. Just like readiness is described by the SRR as a system of systems, so must the way forward. However, without serious reflection and discussion to reveal all the issues involved, getting to root causes, the Navy risks an incomplete way forward. This risks further unintended consequences which could run counter to the warfighting mission. To be a learning organization requires a call for candor in open dialogue. This is a leadership challenge at all levels. A hard look in the mirror is needed, starting with Navy culture. A good methodology might be that suggested in the recent edition of the Harvard Business Review “The Leader’s Guide to Corporate Culture.” In this article, the authors provide a possible framework to assess culture (whether at the unit level or institutionally). Through this assessment process, the framework offers a means of understanding culture which can then be linked to outcomes for the organization. “Culture” is equally (if not more) complex than the issue of “Readiness.” Both relate to organizational performance which is a warfighting imperative for the Navy. The culture of the U.S. Navy has been its greatest asset when faced with adversity and challenges yet it has also handicapped itself as the SRR contends. Living the core values “honor, courage, and commitment” demands this critical assessment and committing to the way forward. Problem-solving is one the Navy’s greatest abilities but a more proactive approach for the future is essential. Standing up the Readiness Reform and Oversight Council is a good start. Hopefully it will be more than a problem-solving effort to stovepipe solutions for managing, but rather take on a comprehensive and integrated approach that goes beyond problem-solving and into seeking opportunities for success. The way forward cannot be solved solely by management of policies, strategies, and programs. This is a leadership challenge for future success. Tom Bayley is a former Naval Officer who retired as a Captain in 2005, with over two decades as a nuclear submariner and designated a Joint Specialty Officer (JSO). He then joined the faculty of the U.S. Naval War College (NWC) to assist in the implementation of the Maritime Operations Center (MOC) Concept across the Navy. He is currently a Professor of Practice in Leadership & Ethics and is NWC’s Chief Diversity & Inclusion Officer. The views expressed above are his own and do not reflect the official views and are not endorsed by the United States Navy, the Department of the Navy, the Department of Defense, or any other body of the United States Government.